Visit Ultimate Shine Express Car Wash located at 2405 E.Stone Drive and enter the code for GWES: 1100. (To help you remember, the code is the numerical part of the school's address.) The GWES PTA receives 30% of every wash purchase! This fundraiser will continue thru March 31, 2018. The code is valid at any of the 5 Ultimate Shine Express locations in the Tri-Cities region, so spread the word to family, friends, and co-workers! Click to view Wash Package Pricing. Mr. Dale, the art teacher, is in need of some parent volunteers to help with uploading students' artwork onto the Artsonia website. We are looking for parent volunteers that can come in to help upload the artwork. It is a simple process: take a picture of the artwork with an iPad within the Artsonia app. An hour’s work whenever you have a chance would be so helpful! Please contact Mr. Dale at hdale@k12k.com if you are interested in helping with this project. How to support your school without having to spend extra $! 1. Link your Food City ValuCard to GWES! 2. Link your Kroger Plus Card to GWES PTA. Click on the document below for instructions on how to do it. 3. Shop on AmazonSmile and choose "George Washington Elementary PTA" as your charity! Click on the document below for more information and instructions on how to sign up! 4. 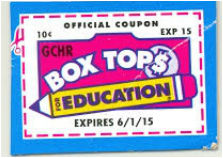 Cut out those Boxtops! It only takes a minute to cut out and put into a baggie. Every so often, send them in! We have volunteers who sort them and send them in once or twice a year. Believe it or not, this raises hundreds of dollars for our school! Please keep them coming! 5. 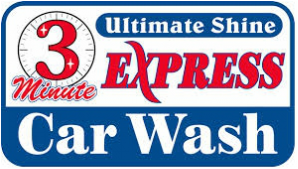 For a limited time only, visit Ultimate Shine Express Car Wash the next time you need a car wash and enter the fundraising code for GWES which is 1100. 6. SPREAD THE WORD to family, friends, and co-workers! Ask others to link their grocery cards to our school, collect labels, shop AmazonSmile and donate to GWES, and enter our code at the car wash. Every little bit helps, and it doesn't cost them any extra! Please collect these labels from food, home, and office supplies and send them in with your child to his/her learning center. This is a great way to support Washington without costing you any extra money!